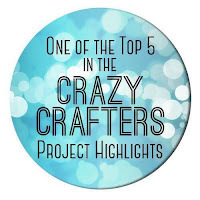 This card is entered into the Crazy Crafters Team Highlights this week. 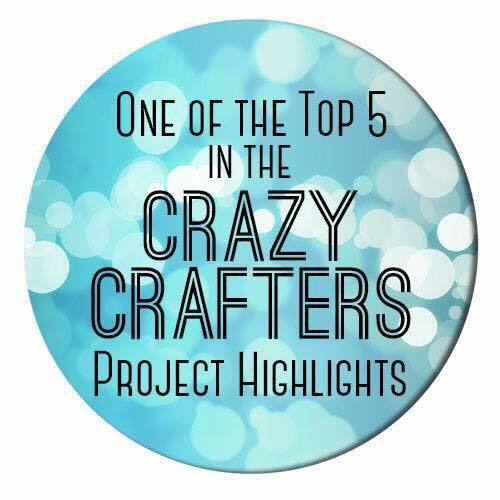 Click here to see all of the amazing entries and vote for your favourites. 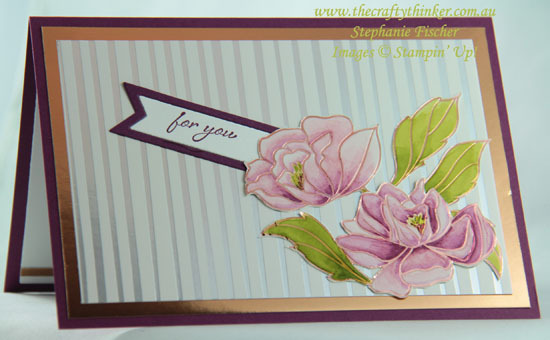 I'm absolutely besotted with the stunning Springtime Foils SDSP! 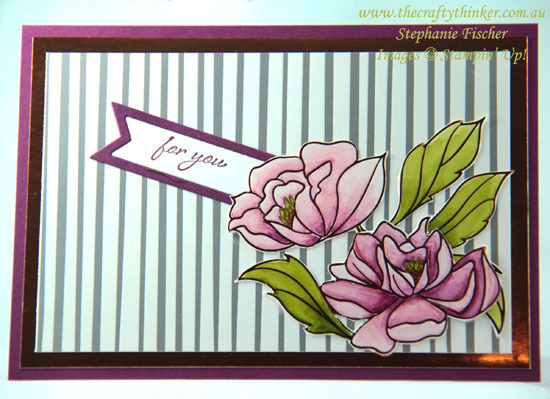 I'm completely besotted with the Springtime Foils Specialty Designer Series Paper that's FREE in the Sale-A-Bration catalogue (click here to see how to take advantage of Sale-A-Bration). The sheets are all single sided and the stunning designs are printed with metallic foils: silver, copper and gold. The only problem is that it's very hard to capture their beauty in a photograph! 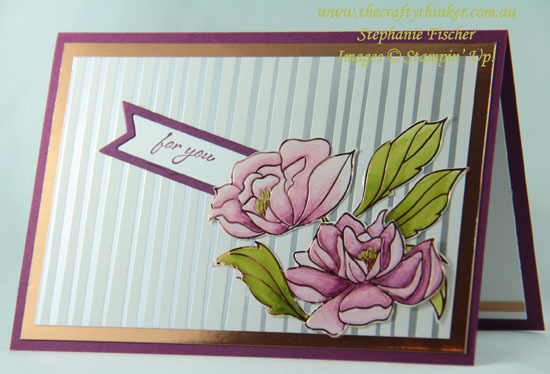 Beautiful cards are so quick and easy to make with the gorgeous designs in the Springtime Foils paper pack! For this card, which I'll be giving to my Mother-in-Law for her 88th birthday, I coloured some of the flowers on one sheet with Stampin' Blends alcohol markers (I used Rich Razzleberry, Pink Pirouette and Old Olive). I then fussy cut the flowers and adhered them to another sheet of the Springtime Foils paper. The greeting is stamped in Rich Razzleberry ink and the banner, from the Bunch of Banners Framelits, is cut twice - once with Whisper White card and once with Rich Razzleberry. Sale-A-Bration ends at midnight tomorrow (Saturday 31 March) so, if you live in Australia and would like to take advantage of the specials, pop on over to visit my store without delay!